9TH Street Median Gateway, Salina, Kansas, USA. 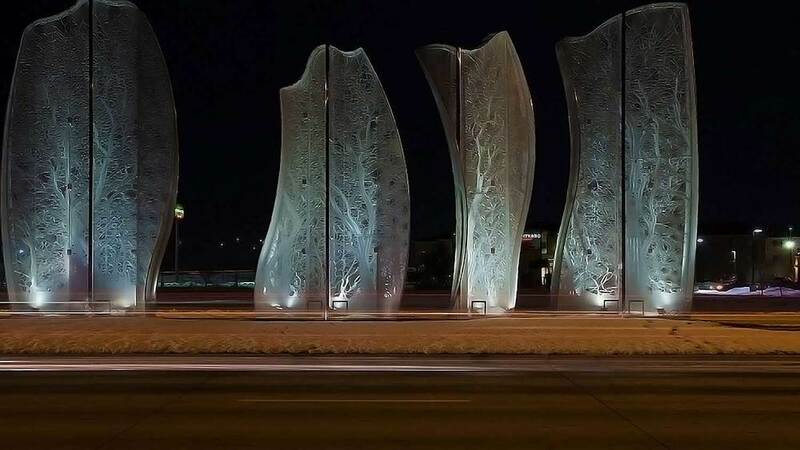 This illuminated laser cut and fabricated aluminum sculptural installation creates a contemporary gateway to the city of Salina. The work creates a luminous visual effect both day and night. At night, the sculpture glows from within using designed LED lighting set on a photo cell. The composition consists of six semi-transparent sculptural forms. Individually and as a total experience, the forms echo the shelter-belt trees of the Kansas landscape, silhouetted against the horizon in winter. 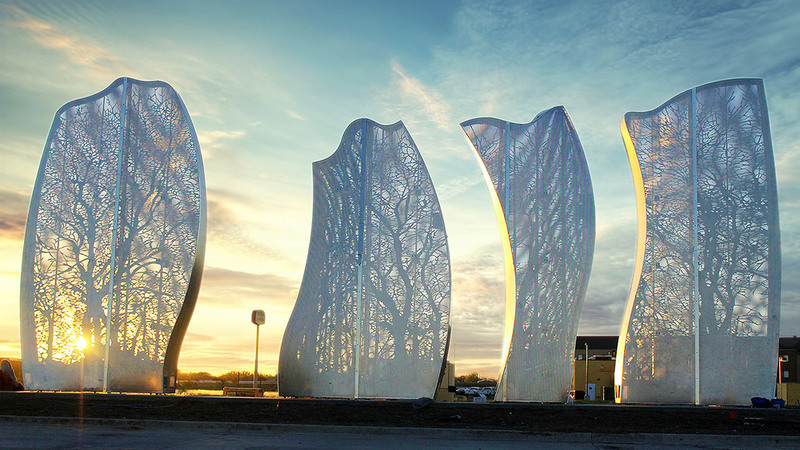 Dawn’s Silver Lining won the 2014 CODAWorx Award for Public Art. 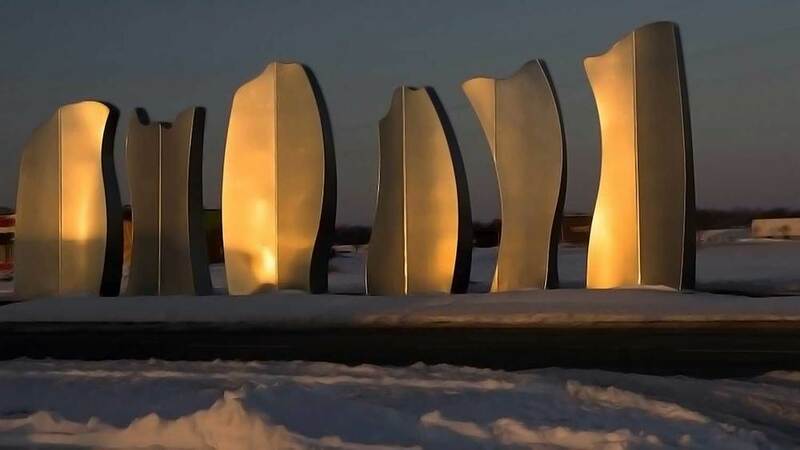 Commissioned by City of Salina, Kansas, Arts and Humanities Commission.